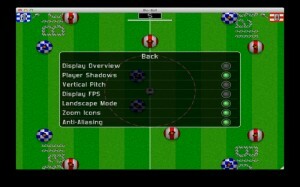 Blo-Ball Soccer is a Mac app developed by Iced Carbon. This fun soccer game has a somewhat retro look that will appeal to many, and it takes up very little space on your hard drive. 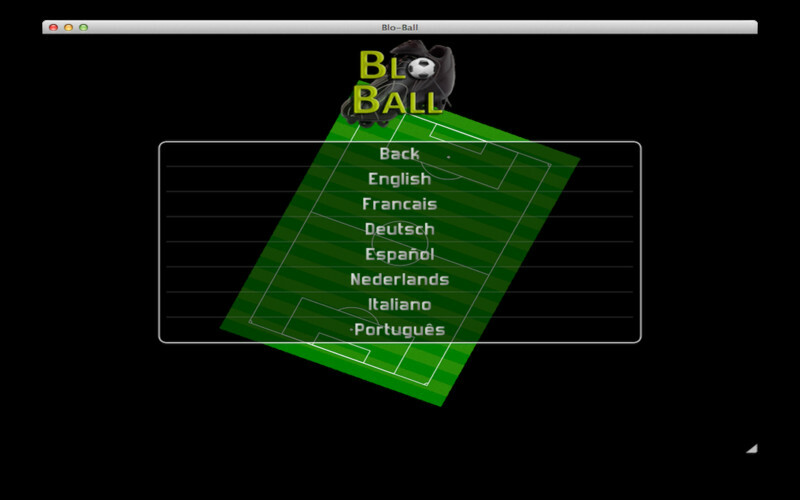 In Blo-Ball Soccer, you can square off against the computer. You can choose one of three different levels of difficulty, making this a fun game for kids and adults alike. 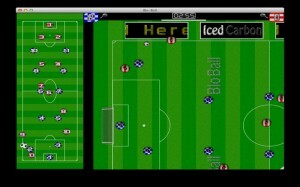 In addition to playing against the computer, Blo-Ball Soccer also lets users play with friends over your local network. Bluetooth play is also supported., as is play on any screen size or orientation you could possibly desire. There is language support for a total of 7 languages, making this a great icebreaker game if you are playing in the international dorms at school, or if English is your second language. To play, pick your team name and colors. Next, control the movement of the soccer ball across the virtual using a virtual straw. You do this by clicking your cursor over the “player” you want to control, and then dragging the mouse back to aim your straw’s blowing direction and force. The controls are somewhat like aiming a slingshot. Blo-Ball Soccer will keep track of your highs and lows with team statistics, which will encourage you to play harder and smarter to beat your personal bests. 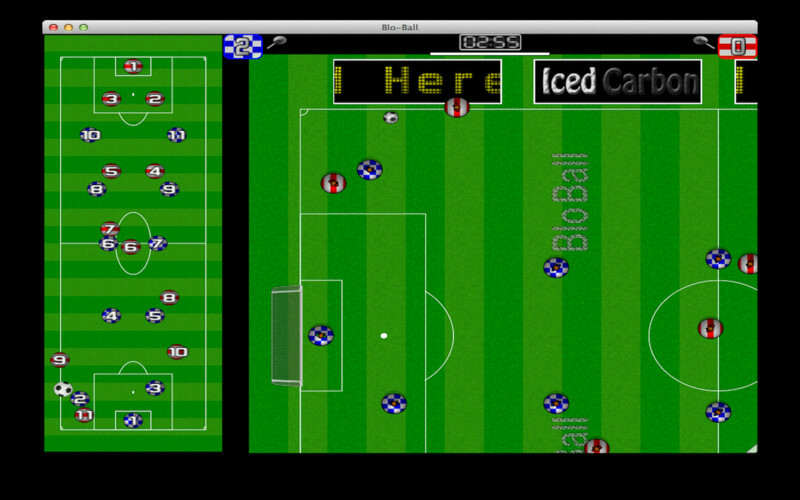 If you want to try before you buy, Iced Carbon has also released a Lite version of Blo-Ball Soccer. The Lite version is available with no network play, no team customization, and easy-level computer opponent only. 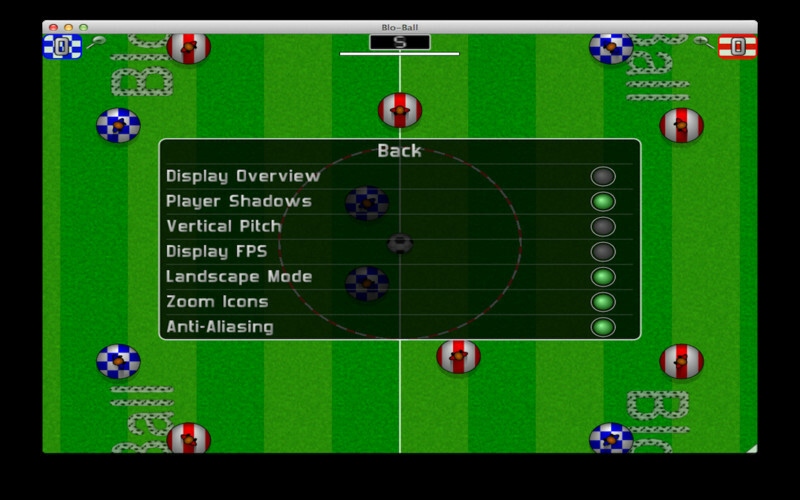 So you’d be missing out on quite a lot if you picked the Lite version over the Full version, but checking out the free version of Blo-Ball Soccer is a good way to tell whether you’ll like the full-featured version. The graphics here are simplistic, and almost retro. 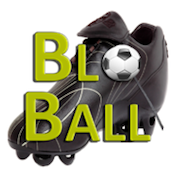 But don’t let the simple look of this app fool you: Blo-Ball Soccer features tricky controls that you will have to master in order to win the game. It’s a fun, cheap game that’s good for wasting time. 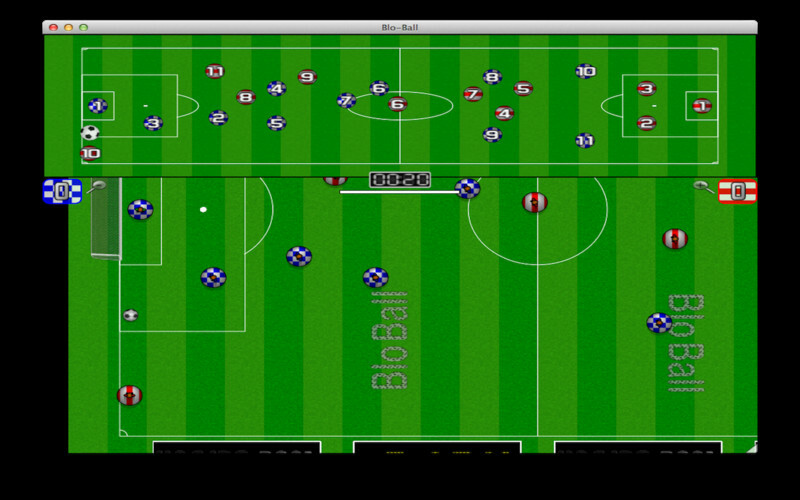 Blo-Ball Socceris a Mac app which requires users to be running OS X 10.6 or later.